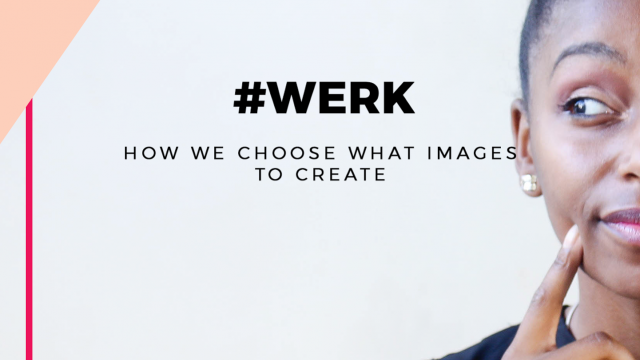 Instagram is home to what feels like the entire world – if you love taking images or if you don’t take them of yourself, you are sure to have an account. 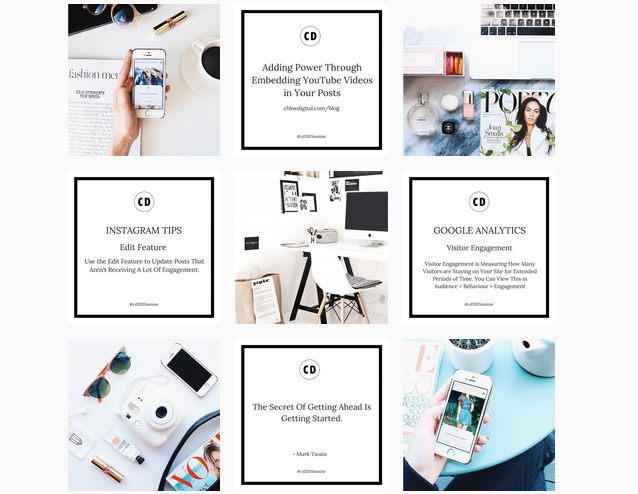 For many of us, Instagram is a means to make ourselves stand out, market our products or services, and even be consistent with our brand across the board. If you’re use to seeing how some Instagramers have taken the time to create their own “templates”, do believe you can too! There are many ways to alter these examples so be ready to put on your Blues Clues thinking cap! 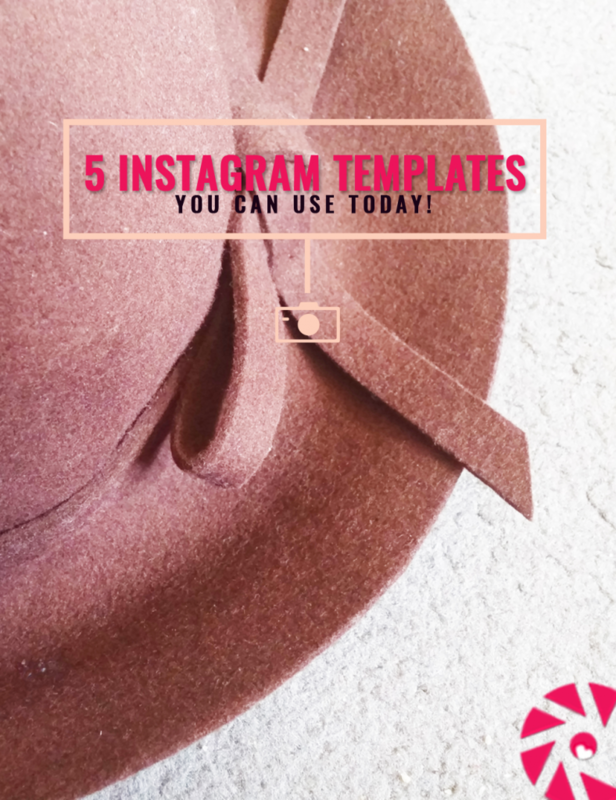 Here are 5 Instagram templates you can check out and even start using today! 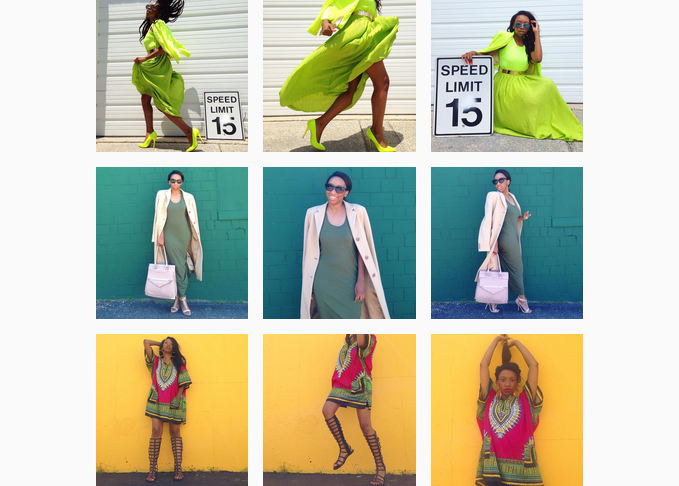 Jelinda is a fashion blogger I found on accident about a month ago. Like any other account that catches my attention, I click on it. I grew INTO LOVE when I landed on her profile. 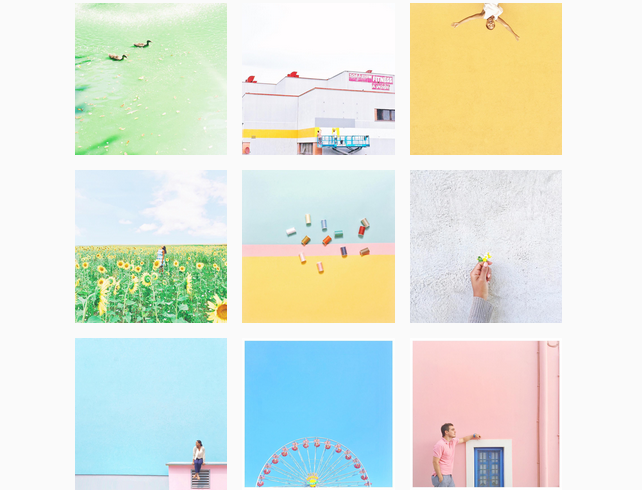 I had never seen any other Instagram account that was as creative as hers. Who would’ve thought? 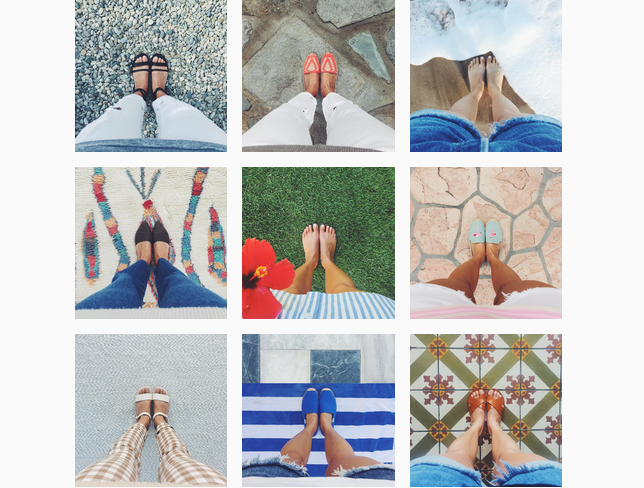 She takes advantage of the 3 by 3 grid layout by taking photos of herself showcasing her style BUT an entire row caters to that one style on a solid color background. SO fab! Give her a follow + tell her CHS sent you over! Okay, so maybe I’m a bit bias but hey! Of course I had to include our own CHS account in this post. I recently began to create a more editorial-style account that manages to give the illusion of building up to a staircase. Every 4th picture happens to be our signature “announcement” or “spotlight” image in pink. Between those images are 3 images to keep the idea going. Trust, this was by accident as well. Give us a follow if you don’t already. Color makes us all happy! If it doesn’t – sorry to hear that. I discovered Majorie’s account a few months ago while putting my “social media growth” tips in action. A great IG account definitely knows how to grab your undivided attention and her account does just that. 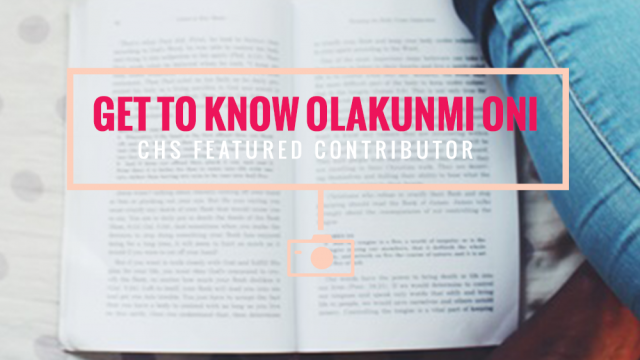 She’s a globetrotter and creative DIY blogger who clearly has a love for all things pastel. She’s currently exploring Switzerland but give her a follow and let her know CHS sent you! Kate is a stylist and fashion blogger. Not sure about you but perspective through a lens is always pretty cool – especially when it’s captured much like “from the top”. I figured this can be altered for anyone who loves to showcase their style or even products they sell in various colors. If patience was a virtue for me, I’d more than likely give this a try but use my various nail colors or top portion of my head to showoff my eyeshadow of the day. Feel free to grab this idea. Give her a follow and let her know we sent ya! Chloe is a fab fashion technologist who is truly one in her own kind. 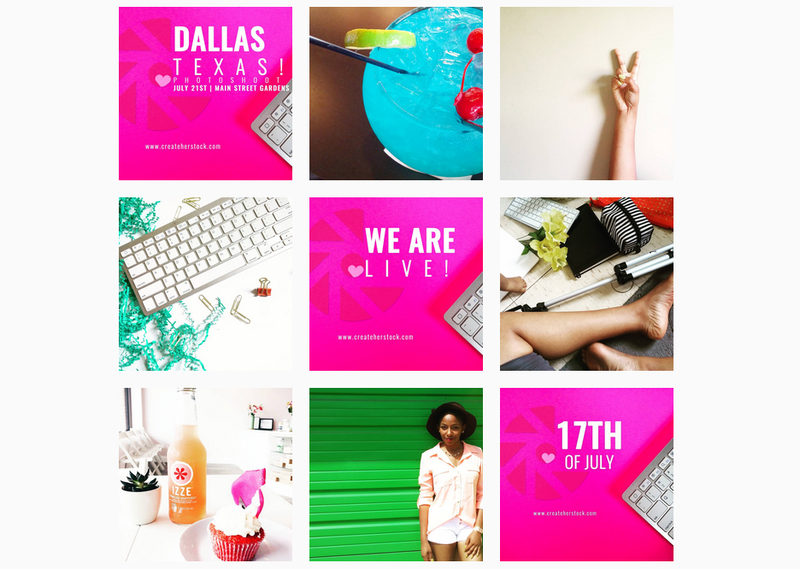 Her biz, Chloe Digital has an Instagram account that mixes both fashion chic geek and tech tips all in one place. This is a great template to try if you’re a creative in the info, design or even IG account with inspa or tips and tricks, go for it. Follow this account or tell Chloe directly, we sent you over. 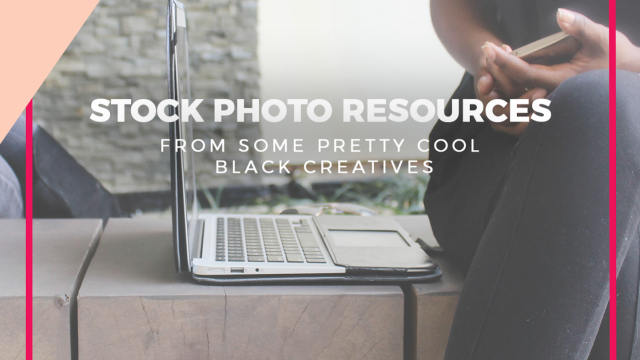 Now go forth and create some fabulous visual content on your profile! Which template is your favorite? How does your current IG account sand out? Share your ideas.